Capital and Growth is a series of newsletters designed to diffuse the main results of the Research Program run by the BBVA Foundation and the Ivie which were published during 2006-2010. The research focuses on Spanish economic growth from a wide range of perspectives. 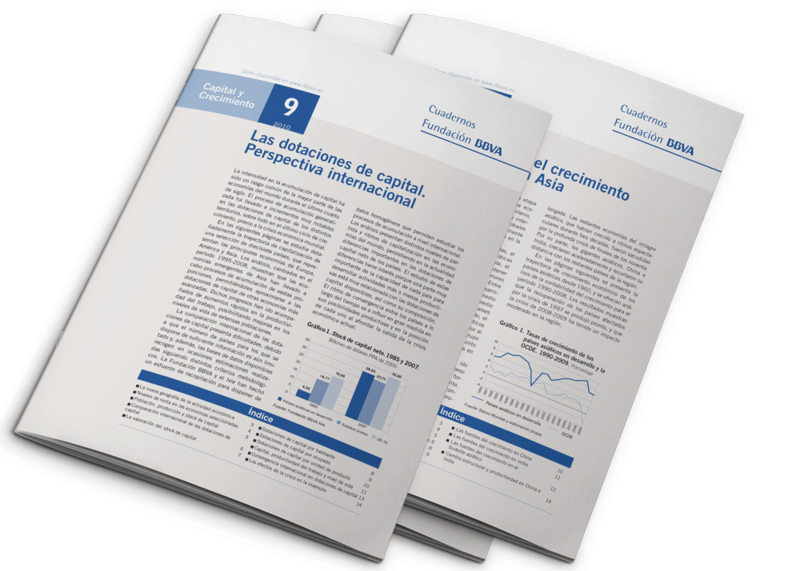 The notes in the Capital and Growth Series offer information and short analyses from monographs published by the BBVA Foundation. They are presented in such a way that they can be used as teaching materials and are easily understood by non-specialists.